It’s not always easy to find cleaners Crows Nest residents and business owners can trust. Either they’re far too expensive for what they offer, they end up doing a bad job, or there are concerns about security and professionalism. At Merit Cleaning, our team offers an answer to all these concerns, providing an affordable, professional cleaning service for all your residential and commercial needs. So, next team you’re looking for cleaners Crows Nest businesses and homeowners turn to, look no further than Merit Cleaning. When it comes to commercial cleaning, Crows Nest business owners need a team that will do a thorough job. That’s because commercial cleaning services can boost office productivity and ensure your clients and customers are suitably impressed. At Merit Cleaning, we meticulously address every surface and every room when it comes to office cleaning. We can provide ongoing or one-time services, but we never lock business owners into a contract. That’s what makes our services the commercial cleaning Crows Nest office managers love. Our cleaners in Crows Nest know a thing or two about keeping homes clean. After all, we’ve been looking after homes in Crows Nest and Sydney for more than 10 years. If you’re sick of doing the dirty jobs around your home, simply call our team and we’ll happily take care of it for you. 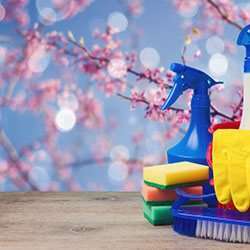 We are experts in residential house cleaning services, offering as little or as much cleaning as you need. Simply talk to us about creating a customised cleaning plan. Need professional house cleaning for the end of your lease? How about strata cleaning? At Merit Cleaning, we can take care of this for you too. Get a quote on our residential and commercial cleaning in Crows Nest. Call 1300 063 748 or fill in our contact form.